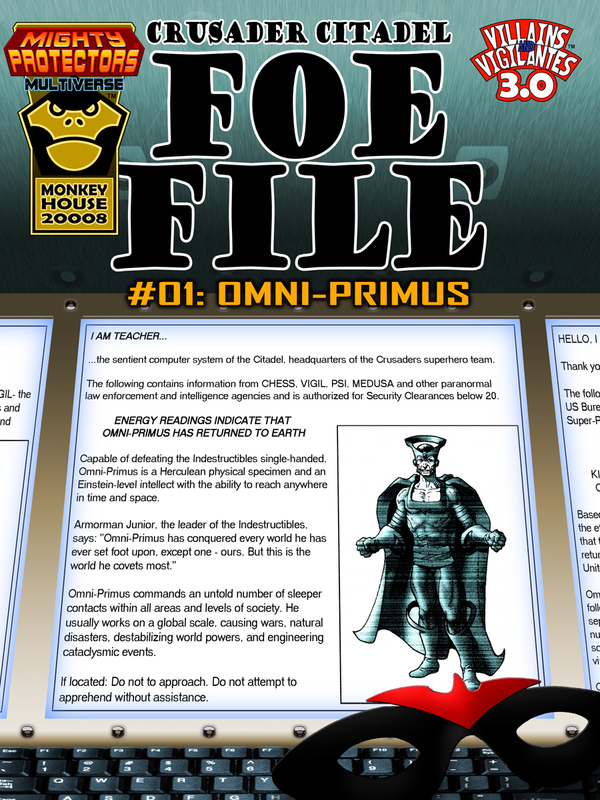 The new Market Forces adventure for Mighty Protectors (with optional 2.1 stats) is now available in print! 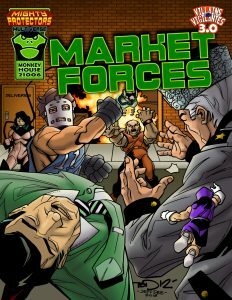 New Mighty Protectors Adventure: Market Forces! 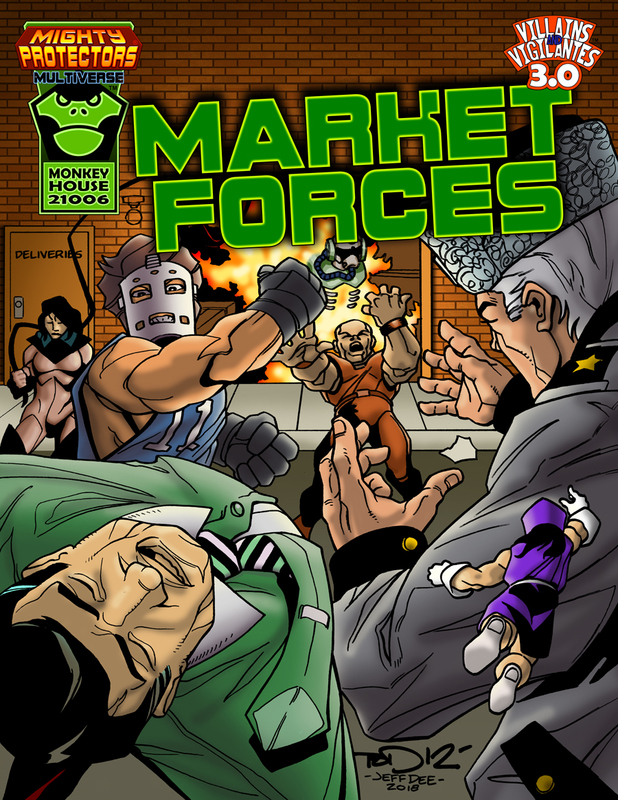 An international criminal drug cartel is moving into the heroes’ territory. This will not stand! 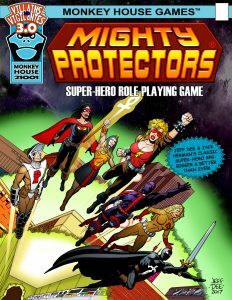 A gritty crime-fighting adventure for V&V 3.0: Mighty Protectors, with bonus pages of gear and vehicles and optional 2.1 stats. Written by Stephen Dedman, edited by Jack Herman, art by Tod Allen Smith with Jeff Dee. Get yours today! 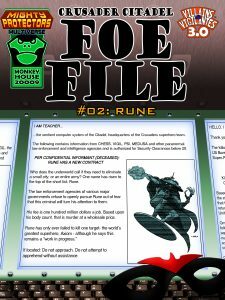 Rune Foe File for Mighty Protectors! 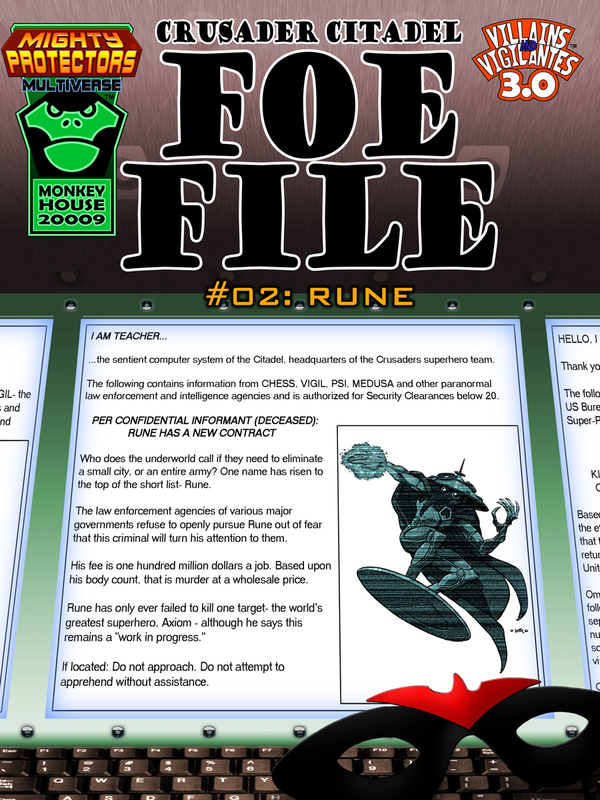 Foe File #2: RUNE now includes Mighty Protectors stats! 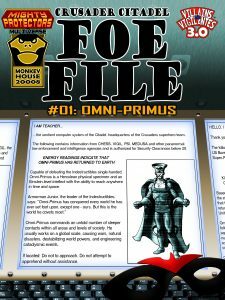 Foe File #1: Omni-Primus now includes Mighty Protectors stats! 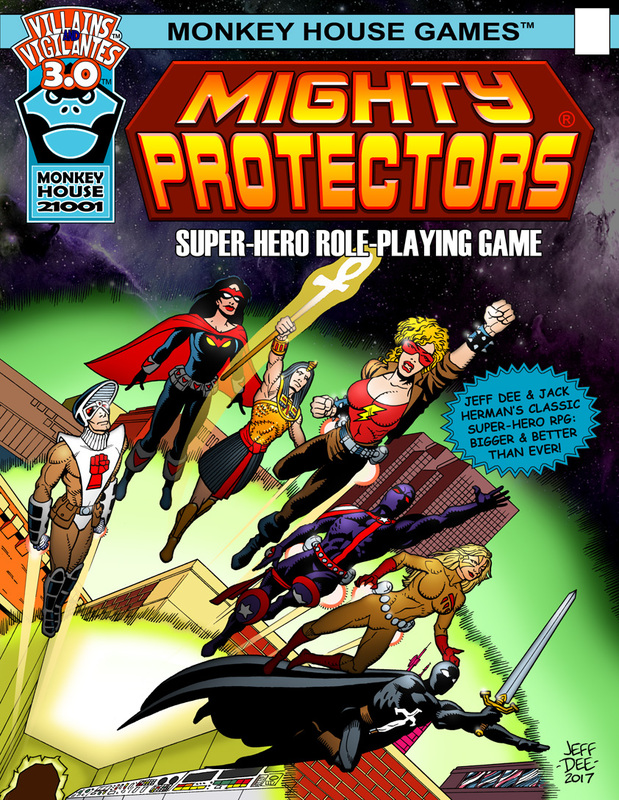 Mighty Protectors took 2nd place (among many worthy competitors), as well as a Judge’s Spotlight award in this year’s Bamfsies competition.